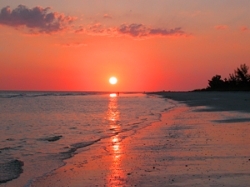 Sanibel Island Real Estate, Captiva Island Real Estate - Weather's Great! Come on Down! Weather's Great! Come on Down! This past week has given us some terrific weather and we hear the fishing has been superb! Our summer weather patterns seem to be in full swing with typical afternoon thunderstorms with enough rain to keep everything green. Perfect for you to come and visit us! The talk of the town is still the BP oil spill, but it’s hundreds of miles from our beaches and the wind patterns have been keeping it away from our area. For more info concerning the oil spill and its relation to our islands you can check Sanibel’s official website Here, or you can go right to the latest news Here. 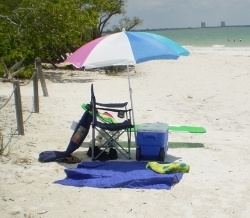 The Sanibel government is also organizing a “Coast Watch” for our community. This is a great article and video on THIS SITE where they talk about a decade-old study showing Southwest Florida being in a “Forbidden Zone” where current patterns tend to stay far off our shores. This sounds like great news and, as the video shows, should give us an extra layer of protection. This video is worth watching even without the oil spill. It gives you a better understanding of water current patterns in the Gulf of Mexico. In other news, we have "Alex" the first tropical storm of the year. This storm is in the southern gulf and all the forecasts show Alex to be heading toward the Mexico/Texas border and not giving us any problems. As for our current real estate market, prices remain reasonably low, as do interest rates, so the market is fairly active. Currently there are 20 homes under contract (19 on Sanibel & 1 on Captiva), and there are 18 condos under contract (14 on Sanibel & 4 on Captiva). Since the first of the year we have had 80 residential properties close (75 on Sanibel and 5 on Captiva), and 83 condo closings (71 on Sanibel and 12 on Captiva). It's easy to understand why our market is so active! These islands are fantastic and everyone knows it!